Vitamins & MineralsTrec Multipack Sport Day/Night Formula - 60 kaps. Advanced two-phase complex multivitamin for athletes enriched with herbal extracts for stimulating and coenzyme Q10. However, the capsule in the morning and one before bedtime! The product created to meet your expectations! Advanced biphasic FORMULA vitamin-mineral prepared especially for you! With specialists in the field of sports supplementation has managed to create a product that meets all their expectations. The highest quality of used substance (vitamins and minerals) further emphasizes the high class TREC MULTIPACK SPORT. TREC MULTIPACK SPORT DAY FORMULA is a complex multivitamin for athletes enriched with herbal extracts for stimulating and coenzyme Q10. The product contains essential vitamins that contribute to the proper production of energy in the body and supporting the functioning of the nervous system. TREC ULTIPACK SPORT DAY FORMULA also helps protect cells from oxidative stress and supports the immune system during intense exercise. 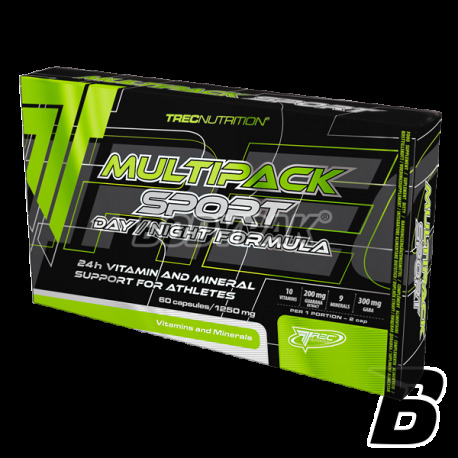 TREC MULTIPACK SPORTS NIGHT FORMULA is a complex of minerals for athletes supplemented with natural precursor of serotonin and gamma-aminobutyric acid - components important for the quality of sleep. Magnesium contained in the product positively affects the functioning of the nervous system by reducing the feeling of fatigue. The product provides double portion important for men zinc, which helps maintain normal blood levels of testosterone and sexual performance. 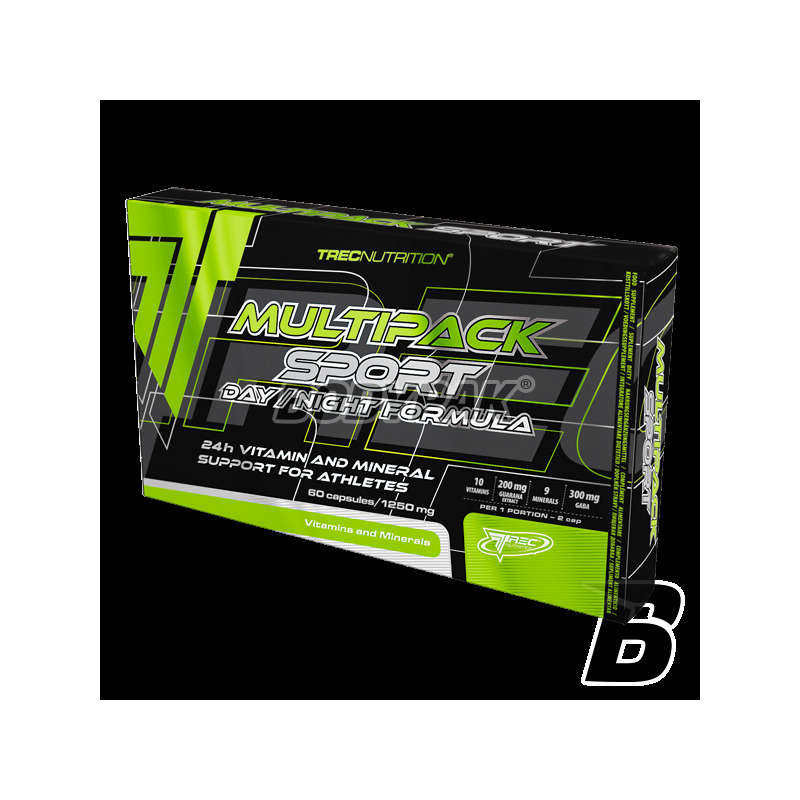 TREC MULTIPACK SPORTS NIGHT FORMULA contains ingredients that beneficially affect the process of DNA synthesis and metabolism of proteins, carbohydrates and fats. TREC MULTIPACK SPORT - SAFELY AND EFFECTIVELY SHORTAGES COMPLETE YOUR VITAMINS AND MINERALS In DIET. DAY FORMULA: The recommended daily allowance is 1 capsule preferably directly after the main meal. Drink preparation approx. 300 mL of water. NIGHT FORMULA: The recommended daily allowance is 1 capsule 30 minutes before bedtime. Drink preparation approx. 300 mL of water.